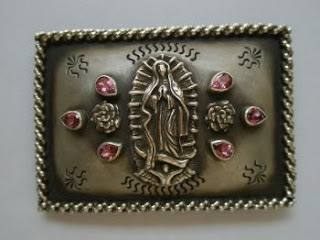 Virgen of Guadalupe bracelet and belt buckle. 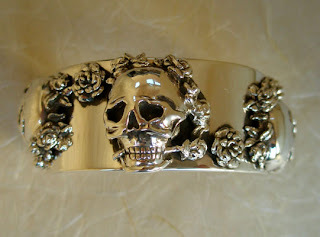 Skull and Roses cuff from the same site, just for kicks. And this, which I saw in a magazine a few months ago but only recently showed up online. Still stunning. Funny thing is, folks out there can't seem to agree on which is the front and which is the back. 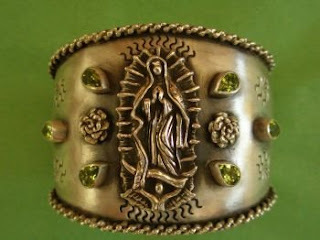 It's styled both ways on various sites. Not that it matters really, what matters is that I want it. but i do like the white better. however... i think it really needs to be worn without a bra. would you do it?